Chewy, nutty gluten free chocolate chip cookies are made with almond flour and oat flour. Whether you follow a strict gluten free diet or not, these chocolate chip cookies will be a hit with the whole family. 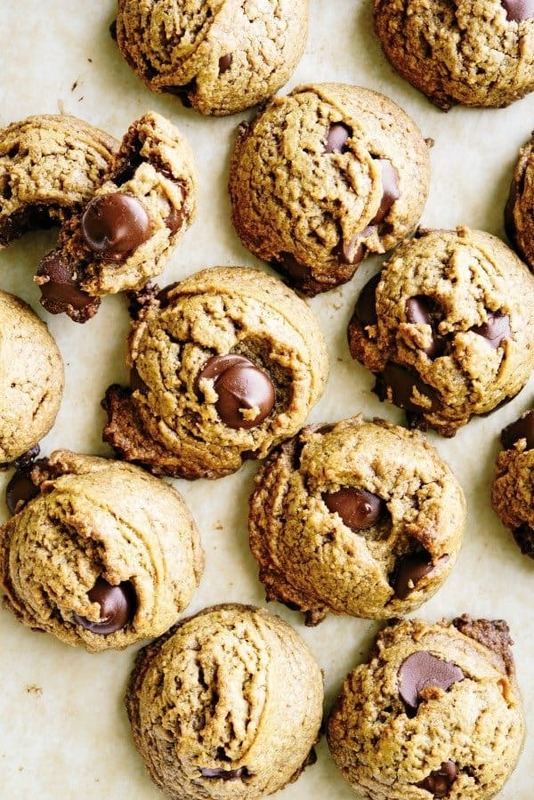 Soft and chewy with the perfect salty sweet balance, they satisfy every chocolate chip cookie craving in the book. We are not a gluten free household but I recently discovered a love for baking with almond flour when I created Almond Flour Berry Muffins. 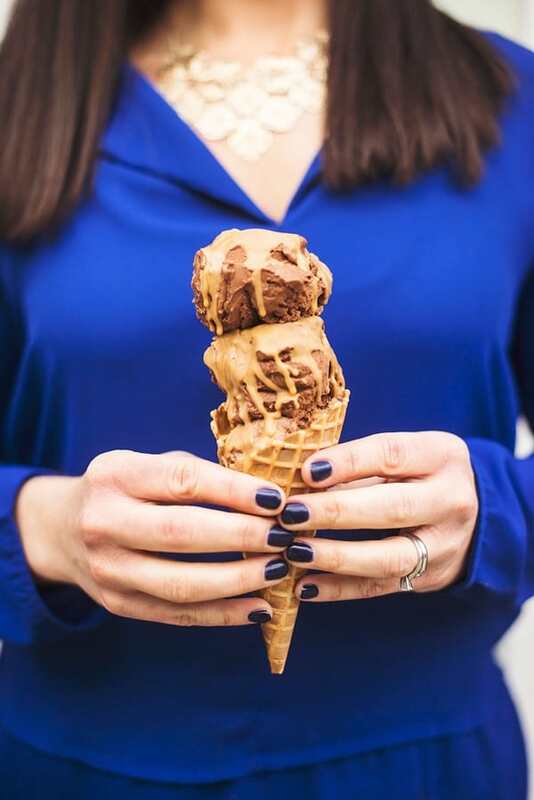 The subtle almond flavor is a match made in heaven for chocolate and walnuts. Tip: Cookies will have a softer consistency than you may be used to when baking with wheat or white flour. Additionally, the batter is thick so I recommend using your fingers to flatten the dough a bit before baking. One last word of caution: keep an eye out for cookie thieves! They are everywhere! Pre-heat the oven to 350 degrees and line several baking sheets with silicone baking sheets or parchment; set aside. In a food processor or blender, puree the oats to create oat flour then place in a medium bowl. Whisk together oat flour, almond flour, baking powder and salt; set aside. In a stand mixer on medium-high speed, cream together butter and sugar until smooth - about 2 minutes. With the mixer on medium, add egg, vanilla and apple sauce. Mix until smooth using a rubber spatula to scrape down the sides as you go. Remove bowl from stand mixer and stir in chocolate chips and walnuts. Using a small cookie scoop or two tablespoons, drop the cookies on to the lined baking sheets being careful not to crowd. Bake for 10-12 minutes or until lightly browned. Let cool completely before removing from the baking sheet. Cookies will be soft and chewy with a subtle nutty flavor. I’m sorry you thought they were too dry Susannah! We loved these cookies but I know everyones taste is different. Thanks for giving them a shot! Hi! Just wondering if the oats can be steel cut or if that will affect the texture negatively..? Thanks! Your blog and your recipes have inspired me to make healthier food for myself and my family. This recipe, however, inspired me to eat 3 cookies hot off the rack! Yum!!! These look delicious. Any ideas for high altitude adjustments? Savannah I will confess I’m not sure how to adjust for high altitude baking. Perhaps a google search would be more helpful? Forgive me for my lack of knowledge!! My son is allergic to nuts. What would be a good substitute for the almond flour, regular flour? We are not gluten free at our house, just nut free and this recipe sounded great! I also subscribe to your newsletters! This recipe is really good. I used plant-based butter (can’t have dairy) but followed the rest of the recipe and make a cookie cake. The only think I need to figure out is how to make it not so crumbly. It’s super yummy though!!!! I’m always sup for a good chocolate chip cookie, especially when it’s gluten free and grain free too! Thank you Sylvie!! I was surprised how delicious these were – love the almond flour texture and flavor. 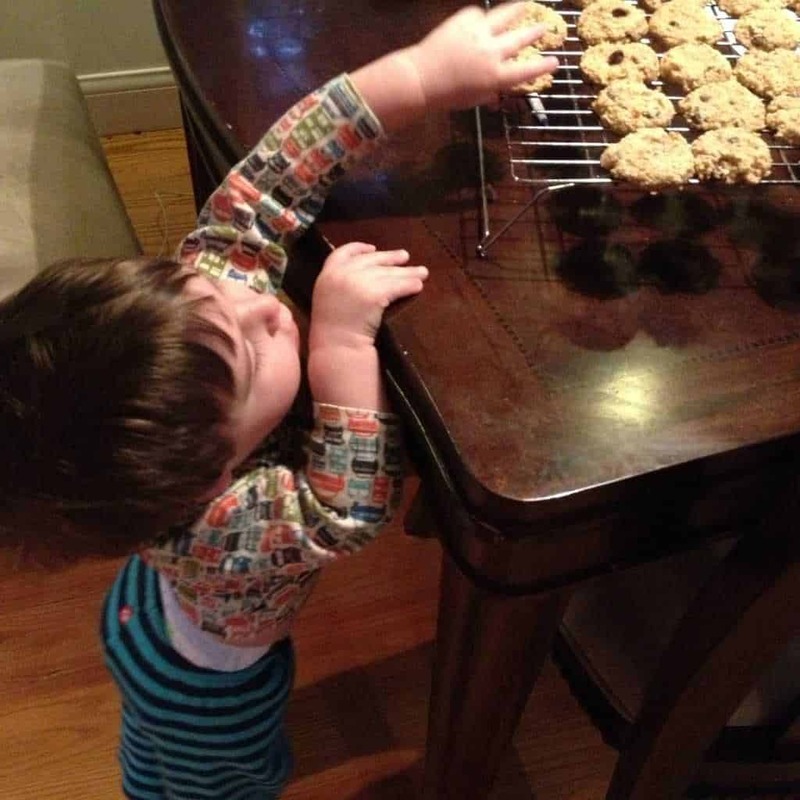 oh my gosh these cookies are great :-) i love the taste thank you for posting these cookies! Great recipe, Liz. :) I love oatmeal cookies and this looks like a great version! 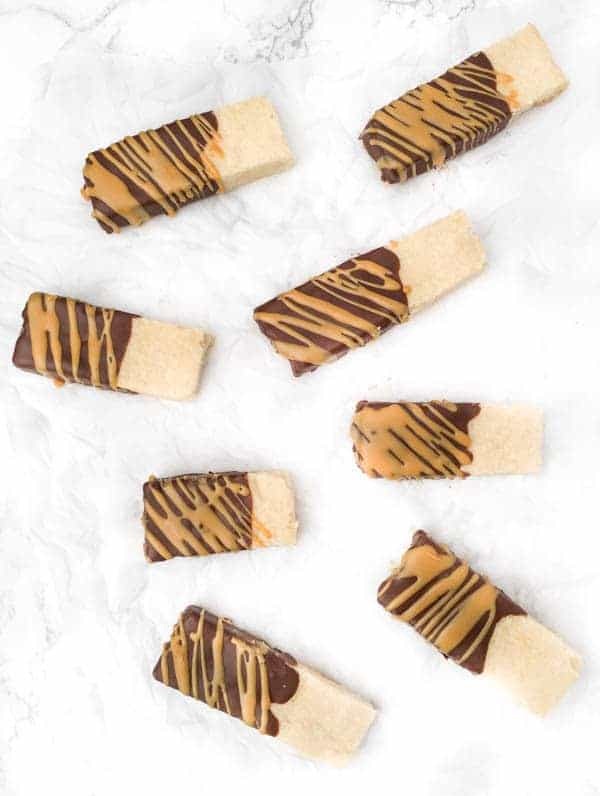 I’ve been experimenting with almond flour. . .I’ll definitely have to give these a try! I always get so nervous baking with almond flour but these were a huge hit!! Thank you! I loved your almond flour berry muffins, so these must be delicious too :-) Can’t wait to give them a try!! One of my best friends is GF. She is going to love these. Next time she is in town I am going to have to make some of these for her. That’s so cool! More and more people are GF and I kept getting requests I figured I should give it a go. Couldn’t believe how easy and delish these were!! Thanks so much Stefanie! I love all these gluten free recipes I’ve been seeing lately! These cookies look absolutely amazing my dear!! Same here!! I love oats and almond flour but don’t always bake with them as much as I should. These were so tasty – I hope you try them! I love the sound of these! Soft and chewy are the only way to go! They were surprisingly good!! I always forget what flavor and texture the almond flour provides. This may be a silly question, but if I already have oat flour would I use the same amt as starting with whole oats? Me too!! You will love these, Heather!